Not surprisingly, our two articles on the new British Airways Club Suite yesterday attracted a lot of attention. You can read our two part Club Suite review here and here. I thought it would be interesting to look at some of your feedback in our comments section, since HFP readers have generally been strong critics of the existing Club World arrangement. Your thoughts were generally very positive. What intrigued me was that a BA insider dropped me a note to say that the original plan – dropped two years ago on cost grounds – was even better and would have blown even Qatar’s Qsuite out of the water. Whether that is true or not, and whether the initial plans would ever have been affordable or be able to be engineered, is a different question …. One thing I didn’t mention yesterday is that there are no real ‘bad’ seats with the Club Suite layout. The need to pay £60 – £90 to reserve a Club World seat, if you have no status, should no longer be necessary. You can’t easily chat to your partner if you’re sat next to them anyway, so if you end up being sat further apart it won’t be a disaster. You should also find it fairly easy to find someone willing to swap seats to help you, if needed, as the seats are all very similar. Which flights will Club Suite be on? The Madrid test flights won’t be timetabled for a while. What is the Club Suite seat map? Yesterday I suggested that we had a 48 + 8 two cabin layout. It is actually 44 + 12. Whether it feels a bit dorm-like or not remains to be seen. What did HFP readers think of Club Suite? So …. in general, you’re happy. Now all we can do is wait for the Madrid test flights to appear in the timetable for August! The A350’s won’t have a First Class. Most of the B787’s don’t either, except the 787-9. I have a sneaky feeling that BA are going to start slowly phasing out First over the next 10 years. They may keep it on the A380’s and 777-9s in time. Many planes won’t have 1st all eventually. Bit like Qatar, mainly top notch J products across the fleet. Obs retaining F on very few prime routes. Many of their F cabins are redemptions. When looking for F seats, have often seen 4 available. Saying that, not an F seat in sight next Jan, Feb or Mar for our preferred dates to Asia.want to use our 241. Once the new J is up and running, we won’t bother with F redemptions at all, but hope sufficient J seats will still be available. But if F remains, it’ll have to improve to differentiate itself from this. G, hard to imagine how. Guess just more roomy. And nicer furniture and features. Looking at the J door, might be a tight squeeze in and out for a big person…. F is for ‘fleece’, right? Service service, service and on the ground. That’s the difference between First vs Business. There is not much mention of WT+ on this new BA plane. The seating is 2-4-2 but other airlines like Lufthansa have 2-3-2 on their A350’s in premium economy, so it will be interesting to see if the seat on the BA A350 has to be narrower in WT+ compared to their other planes. Just cannot believe they left it at 2-4-2, as some of those fares are close to 1K, l would expect 2-3-2 at a maximum. it’s as bad as Y, almost. Seats looked very narrow in the pic l saw. 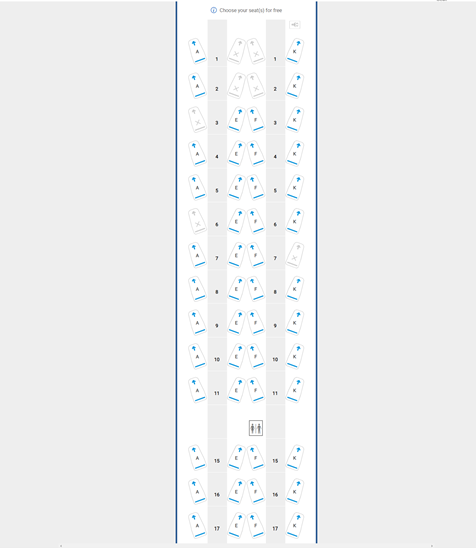 In straight forward rows of seats like WT and WT+ the seat width really is determined by the plane width and number of seats. This is why I like to bang on about Virgin’s claim to have a 21.5 inch seat in Premium compared to BAs 18.5″ on the same model aircraft. At 8 across have Virgin took 12″ out of each aisle. No, they just measure the seat differently, and because of their marketing they have travel review sites repeating this in comparisons like it’s fact. The truth is the seat cushion width is not the story, it’s how much space you really have, which in Premium Economy on a 747 is 1/8 of what’s available after the aisle width is removed. This is why I never want to travel in economy on a B787 or 10 across B777. My guess is LH will be the outlier here. The norm in economy on an A350 is 9 across, standard attitude to + cabins is mostly one less, so I think the 2-4-2 will be the norm. It’s hard to judge how this will feel until you try it. WT+ on the 747 and 777 was always 2-4-2, with 9 across in economy, until they decided to sardine economy on refurbed 777. But then again the 787 has 9 across in economy and a 2-3-2 in WT+ so who knows. What could be the game changer is Virgin going 7 across, that would expose the BA WT+ seat as inferior for space. I think 2-4-2 is the norm for PE on the A350. Cathay, Delta, Iberia, and Singapore have all gone 2-4-2 in PE. Singapore even have 2-4-2 on the ULR service that only has PE and J. The only 2-3-2 configs I can find are on China Airlines, French Bee, and Lufty. That’s one big cabin. Fist fights for the smaller cabin l reckon. Think big cabin is too dorm like, looks huge. But once inside your private space, you won’t be aware just how big it is. These pics give a great idea of the product. 11 rows of 4 is the same as you get on AA’s highly regarded 77W. It doesn’t feel at all dorm like. 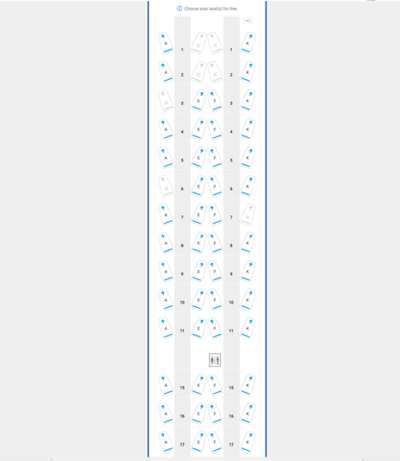 Cathay have 11 rows of 4 plus an extra middle pair on the A350. I care about suites though. The seat is the most important aspect of flying for me and is the only reason I collect air miles. The lounges, food n drink and IFE are minor additions. I think this is a huge improvement from the CW offering at present, but I’ll be interested to see how cramped the cubby is. Just out of interest, what do you care about (flight-wise)? If F disappears, what will they do with the First lounges and Concorde room? Somehow decide which J passengers can go in them? (Business lounges already seem to be at capacity). Maybe status gives entry to F lounge? Same as AY with their “Premium Lounge”, even though they don’t have a first class. Well yes, but that’s clearly a temporary anomaly. If anything, the fact they’re still investing in the refurbishment of the Premium Lounge despite having no F product makes my point more clearly. I’ve always been puzzled by AY’s premium lounge. It seems inferior to the other one to me in a lot of ways. F lounge will probably be same as now (OWE access or F on other carriers). Concorde room maybe GGL only? F isn’t going away – it will still be on 777, 787-10 aircraft and likely the A380. I wouldn’t be surprised however, to see it removed from the 787-9. I believe F will also be on the A350, just not the initial deliveries. This based on comments on FT from people that get a lot else right. Some rumours too that it won’t. I may be in the minority but once I’ve got a bed, decent IFE system and charging points and somewhere to store my bits and bobs the rest is secondary. I’d happily see first go if the quality in business meets the initial impression. I don’t need an apartment, some privacy is nice and a decent meal is appreciated if your not going to serve one at the airport but I really don’t need expensive plonk and meals which sound amazing on the menu but are very average by restaurant standards. Maybe I’m easy to please but it’s 12 hours on a plane which I’m going to try and sleep through most of it. A really nice sandwich (made to order?) or something that keeps well like a curry or stew would be far more true of what you expect in a restaurant than a fillet steak that’s impossible to serve on a plane. Save the nice food for the lounge prior to departure, a fillet steak served prior to boarding done properly beats anything that can be acheived on a plane. The door is gimmicky as anyone passing by can see over it. Thought the same. Looks like QR’s window herringbone seat with a door but the back’s higher like Finnair. It certainly looked wider at shoulder level. I haven’t seen any commentary on the number of the new seats as against the number of seats currently in Club. 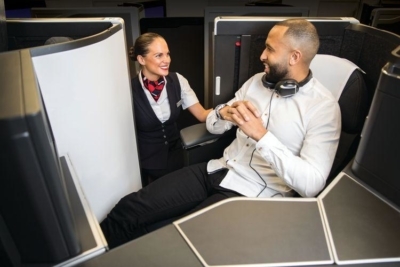 If (as it looks) the seats are further apart, and longer, does this mean fewer seats overall – and therefore BA will need to be charging higher fares? Nobody knows – the only confirmed seating plan we have for Club Suite is on the A350, which has never had CW for comparison. Still some cheap fares to Toronto being sold, I’m sure i saw £1.8k return or something like that. I’ve got 2 young infants so this basically rules out BA for me… which is a shame because the old CW worked so well! I think for everyone else it should be a massive improvement… I hope first sees an equally good upgrade. I don’t mind the current seat but only on the upper deck of the 747 and A380 window pairs. Otherwise yes this looks good, but the only way I’ll fly CW is on ex-EU fares, so in a way it doesn’t matter what the seat is, because it’s the price that matters to me. Sure if QR and BA are offering the same low fare on the same dates then I would now choose the new BA seat (in however many years’ time) over QR but usually there is only one choice of airline…. I’m not sure the seat alone would swing it from QR to BA although people going to Asia may consider going straight through on BA rather than transiting Doha. Also even though I’ve never really got what the space is for between the two sections of QR A350 biz class, it’s still space and contributes to the openness. Looking forward to reading reviews. Remember to always price up an ex U.K. trip not just ex EU – you may be surprised! I have an SFO in July (bought in the January Sale) that is cheaper than any ex EU I found. Ditto in the current sale for NYC next January. I prices up Toronto yesterday for October and again cheaper than the ex EUs involving the same long haul flights from LHR. What are you finding? I’ve previously paid just over £1400 Ex-INV for a trip in May. 600TP not to be sniffed at using East Coast to transit. Looks like the smaller cabin of 12 seats will be very popular with those who have status. Rob, please keep us posted on the Madrid flights. I wouldn’t mind a cheeky summer break to Madrid to test out the seat. This just brings then I to line with their Oneworld partners, in terms of seat. That’s all. How about RJ and Latam? I was told 06.20 but not timetabled yet and could change. BA currently operate a 777 from LHR-MAD on BA460 @ 13:20 and the return. I don’t for a second doubt your info that the A350 would be the 06:20 flight but would BA fly two wide body flights per day? This is in addition to Iberia using one daily too. My guess would be they switch the 777 for the A350. The issue with the early 6:20 departure is that this rotation used to be operated by 767. Now it’s operated by 321 (if i’m not mistaken), so cargo is an issue. Remember IB has a rather large departure wave to long haul destinations, including South, Central, North America and Asia. I guess they see this as an issue. I wouldn’t be surprised if this rotation sees a long haul plane in the longer run. I think the first rotation was a bit of a stretch when the 777 first went on the schedule, the birds were only just getting back from their early long haul arrivals so subs or delays were common. Making it lunchtime meant there would be more available aircraft and would still still back in time to do operate an evening long haul. Ive booked a pre-emptive outbound on the 777 at 0620 is a bit early for me with a return on the 1055 with a 241 that was expiring in August. Fingres crossed! Worst case is I’ll get a couple of days to look round Segovia. Doubt it. They MUST run the 777 for cargo reasons. If there is a problem with the A350 and the 777 is doing something else, BA is stuffed. Better to keep the 777 where it is to guarantee the cargo flow and then drop the A350 in and out as required. 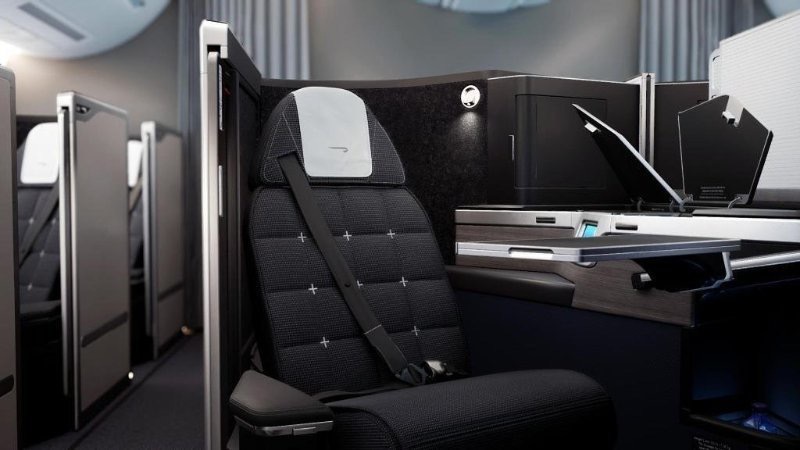 If only BA would introduce a non stop service to Oz, we’d be more than happy in these seats. As it is we’re going to try the Qantas non stop to Perth early next year. Their Club seats seem to be very positive…we will see. There are conflicting reports about how well this service is doing. If they could squeeze the extra mileage to get to Melbourne or Sydney I’d imagine they’d do better. Perth is nice but many will then still end up with a very long internal flight to the East coast. 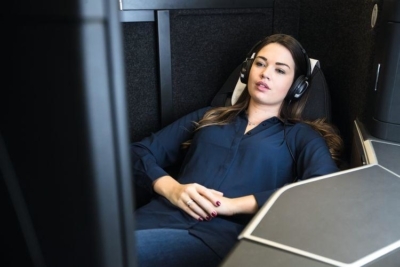 Personally, no matter how comfortable, I’m not sure I would want to be on a plane for 20hrs. I’d rather have a break, spend a few hours in the lounge, have a shower and a shave (etc)! Not sure how the economics of carrying a double set of crew stacks up. Someone who pays £1500 of their own money in a BA sale has more skin in the game than someone whose employer pays £4000 for a fully flex flight. I’m still waiting for BAEC to realise this. Don’t you think they do. I think BAEC rewards the casual business flyer quite well, relatively easy to get status and reap the benefits of that. Totally agree. If I’m paying to fly J, then its AA. If I’m on a redemption, its BA. When the new Club Suites roll out to TATL, I will happily pay to fly J on BA. BA have some fabulous cabin crew – currently their biggest asset. Plus if the flight back is delayed, I’m covered by EU261 on BA but not on AA. Definitely agree on that latter point – got stuck with a 14h rolling overnight delay with AA and only got a handful of points. Have to say this is a lot better than I expected this would be! This with Do&Co catering makes this actually really nice proposition… Wow – yes I can’t believe I just all that!